The UN’s work often seems remote, not very concrete, disconnected from the suffering of families living in extreme poverty, and with little relationship to the direct support ATD Fourth World provides them. However, those in each country who are working to shape domestic law in order to change the lives of families in poverty believe that international reviews force governments to take a hard look at their policies. Extreme poverty will never be eradicated unless profound changes are made in how authorities at all levels deal with it. 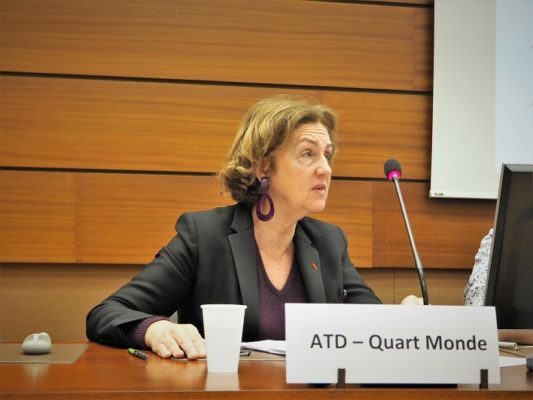 ATD Fourth World hopes that the review that was just conducted under the auspices of the United Nation’s Human Rights Council in Geneva will help bring about such a change in France. 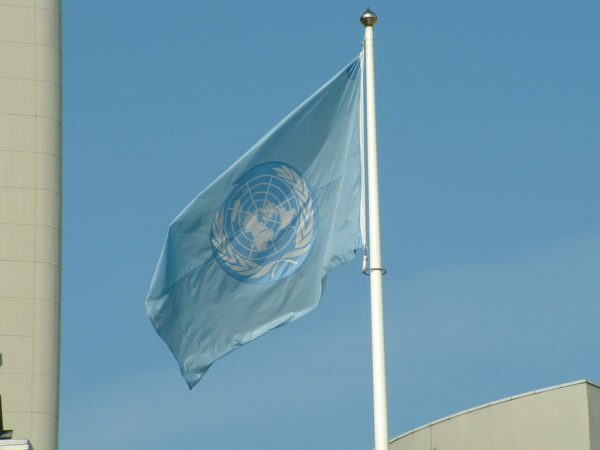 On January 15, the Council carried out the Universal Periodic Review for France. All States are subject to such a review every four years. Each State must present the measures it has taken to improve the human rights situation in its country. As an NGO that has consultative status with the Human Rights Council, ATD Fourth World prepared for this important event by providing a written contribution and recommendations in the areas of housing, the place given to society’s poorest members in public policy, and extreme poverty as a human rights violation. For ATD Fourth World wanted to be sure that extreme poverty, which is often the result of multiple violations, would not be overlooked in comparison to other human rights violations that, even if sometimes more limited in their impact, are more frequently understood by States. ATD Fourth World had previously met with representatives of States that had shown themselves to be sensitive to the situation of society’s most disadvantaged people, in order to brief them on the extent to which extreme poverty persists in France and the concerns of individuals living in such poverty. ATD Fourth World also had the privilege of being chosen to participate in a round table that was held a month before the Review and to which all the States were invited. ATD Fourth World’s recommendations were also supported by France’s Human Rights Advisory Commission (Commission Nationale Consultative des Droits de l’Homme). Isabelle Toulemonde of ATD Fourth World. ATD Fourth World is pleased that these two lines of action raised many countries’ awareness of the human rights violations that characterize extreme poverty, in line with Sustainable Development Goal No. 1: “End poverty in all its forms everywhere.” In France today, 55,000 families who have been recognized as priorities by the Enforceable Right to Housing Act are still waiting for housing . . . some as long as 10 years. It is estimated that in 2016, 3.8 million people were “poorly housed” or homeless. Several countries made recommendations, such as Azerbaijan, Congo, East Timor, Honduras, Hungary, Portugal, Moldova, Slovakia, and Serbia, demonstrating their interest in France and their confidence that it will make the necessary reforms. They asked France to take measures to promote a genuine culture of equality and tolerance, in particular through the right to education, regardless of a person’s social origins. France will now review the recommendations put forward on the issues we raised, as well as those pertaining to the treatment of Roma, equality between women and men, unaccompanied minor migrants/asylum seekers, the situation of migrating individuals, assistance of illegal immigrants, human trafficking, prison conditions, etc. France will have to reply at the Human Rights Council meeting in June. ATD Fourth World hopes that France will agree to adopt measures on the right to housing and the right to education for the children of France’s poorest families, and will simplify access to entitlements and thus put an end to the large number of people in poverty who do not apply for the assistance to which they have a right. ATD Fourth World will closely follow the implementation of these measures to make human rights effective for all in the name of the principle of equal dignity.